Support for “Google My Business” is coming this fall. Google recently made some kind of blog-a-like functionality available for local business listings. As a local business owner you can add posts, events, offers as well as products to your business listing. Although you must have a confirmed “Google My Business” listing we got a lot of requests for this functionality to be added to SNAP. Google has some kind of officiall native API for “Google My Business”. However it is limited in functionality and it is almost impossible to get an access to it. We made our own API and we are currently testing it. Next release of SNAP will support an ability to make posts (with image and link). Posting of events, offers and products will follow later. We are getting a lot of questions about upcoming deadline for Facebook app review. People are asking what should we do. The honest answer would be: “No one has any idea”. We submitted several apps for Facebook review using different ways of describing and explaining of what SNAP does. All our submissions are still pending. The guide below is the simplest submission we made. You can use it as a reference for your own. What permissions does SNAP need? SNAP needs only manage_pages and publish_pages for posting to pages and publish_to_groups for groups. 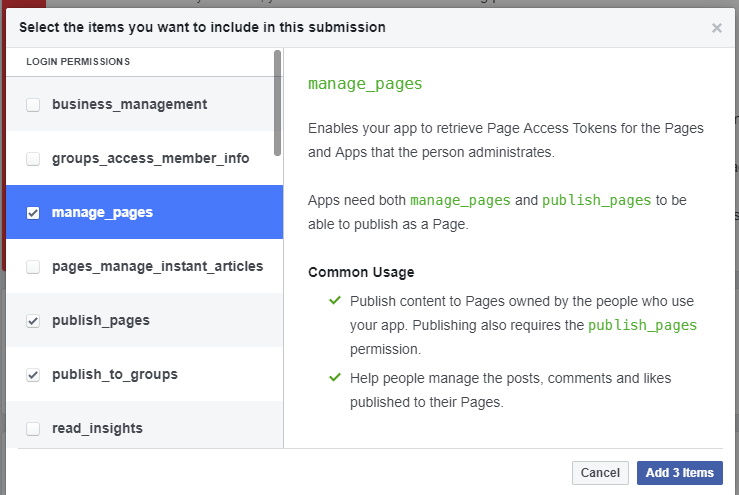 Facebook: A member of our review team will test how your app uses manage_pages. Create a new WordPress user with admin privileges. For example fbtempadmin. 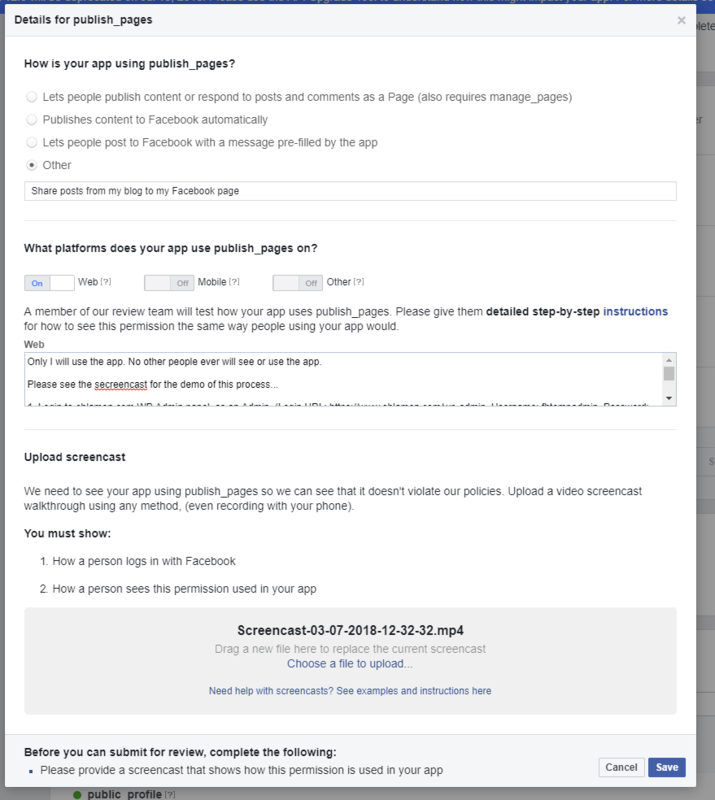 Facebook: We need to see your app using manage_pages so we can see that it doesn’t violate our policies. Upload a video screencast walkthrough using any method, (even recording with your phone). 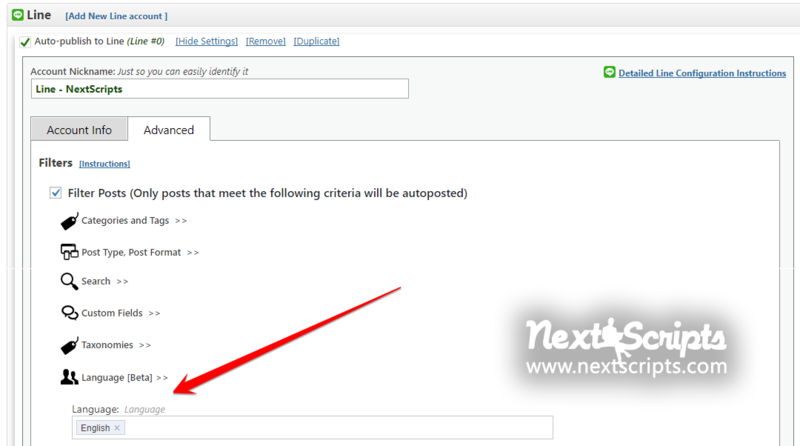 Please make a screencast of the process how newly post published blogpost automatically appear on Facebook page. You can use any software that can record your screen activity. We use TinyTake from Mango Apps. It’s free. 1. Please go to https://developers.facebook.com/apps and click on your app. If you still didn’t do that please go to Settings->Basic and upload 1024×1024 “App Icon” and chose “Support my own business” in the “Business Use” section. Click on “App Review” in the left menu. Click “Start a Submission” button. 2. 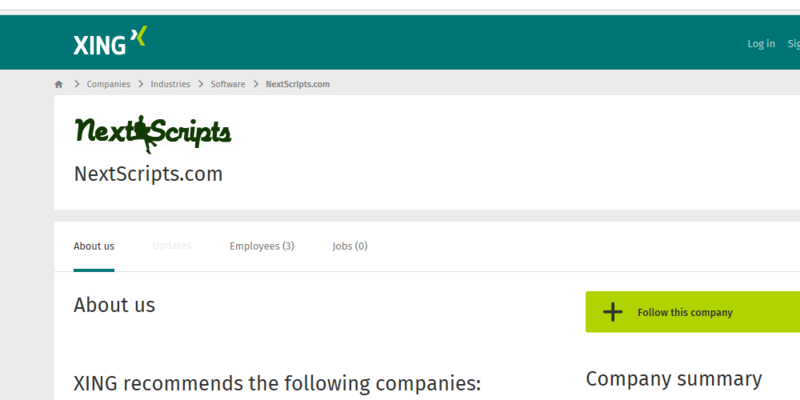 Select manage_pages and publish_pages for posting to pages and publish_to_groups if you need groups. 3. Click “Add Details” for each item. Fill the form. Only I will use the app. No other people ever will see or use the app. 2. Create new blog post. 5. Content from Facebook “Message format” field will appear on the “My Page Name” Facebook Page along with shared link to the newly created blogpost. That’s it. App won’t be used for any other purpose. I will be only user for this app. App will not read any data from Facebook. All content published through the app can be fully customized before publishing. 5. Repeat this for all other items. 6. Click “Submit for review”. We will update this page once if we get any news regarding submission process. Once we get an approval, this page will be moved to tutorials. Facebook made changes to it’s API access policy on May 1st, 2018. As the result we introduced our own Premium API for Facebook. We feel that we need to explain how exactly those changes affected SNAP. Since the beginning Facebook native API was unrestricted. Anyone with Facebook account can create/setup a Facebook API App and immediately start using it for interaction with Facebook content. Recently Facebook got in trouble with data leak and privacy issues. All those leaks happened through the API, so Facebook decided to take out “unrestricted” and “immediately” from the API setup process. From now on they want you to explain why you need a Facebook API App and how exactly you are going to use it. If they accept your explanation, they will approve your app and then you will be able to autopost. From the technical point of view nothing has changed for SNAP. Facebook native API is working exactly the same way as it used to. 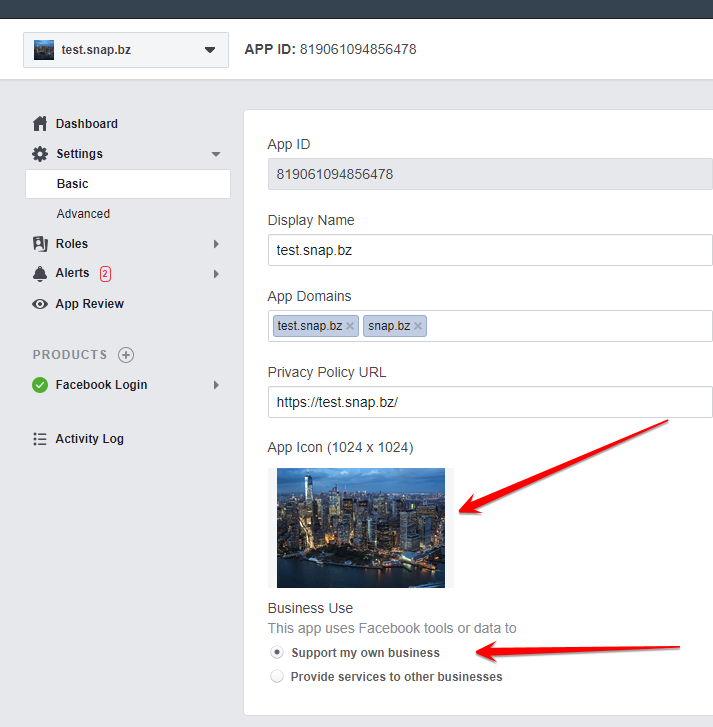 You are more then welcome to submit your Facebook API App for review and once approved, it will be working with SNAP and you will be able to autopsot to profiles, pages and/or groups. The only difference is that now you need to submit your app for review and wait several weeks before you can start autoposting. Since many people don’t really want all that “explanation” and “waiting several weeks for approval” hassle we made an alternative API for Facebook. It’s not free, but you can start using it immediately and you don’t need to explain anything. About 45% of accounts require to enter the code from email or SMS. SNAP supports this type of authentication starting from versions: SNAP Plugin 4.1.1 and SNAP API 4.0.37. About 15% of accounts require to enter the code from email or SMS and confirm the “unusual” location from the phone. SNAP supports this type of authentication starting from SNAP API 4.0.42. Please open Instagram on your phone and confirm the the “unusual” location. SNAP will work fine after that. About 10% of accounts got demoted to the lowest trust status. You are here if you got an infinite loop of confirmations or empty errors. “Infinite loop” means that once you are successfully passed either code confirmation, you immediately asked to do that again. Please do not confuse “code infinite loop” that you might get with SNAP Plugin 4.1.1 and SNAP API 4.0.42 with “unusual” location infinite loop that almost everyone got before SNAP Plugin 4.1.1 and SNAP API 4.0.37. There are two reasons for this: Your IP belongs to the hosting provider with the big number of abuse complains and/or your account got a lot of spam or abuse complains. About half of the accounts affected by “Infinite loop” or empty errors could be recovered using real mobile IPs. This means you MUST confirm your account location from the smartphone connected to the mobile network. Please disable WIFI and login to Instagram from LTE/4G/3G/EDGE network. Alternatively you can try to find “mobile” proxy. [Update – February 6, 2018] Instagram made some additional changes to it’s infrastructure Feb 1-5. Those changes were causing some new errors and problems. Please see updated Instagram issues and how to fix them page for the fix instructions. Instagram was acquired by Facebook 6 years ago. It looks like they finally started integrating Instagram in the Facebook infrastructure. It’s obviously a lot of work and a lot of changes, so new issues could appear or existing fixes could stop working. We will continue to watch the situation and release new updates once necessary. If you have an issue that is not listed here or one of the fixes is not working, please check the Known Issues before opening a ticket. 4. It will work fine after that. In order to comply with new Facebook API, ability to manually set “shared link info” has been removed from SNAP Version 3.8.6. Also SNAP implementation of OG tags has been improved a bit, but we are still recommending to use more powerful solutions. This is exactly the part of the Facebook API SNAP was using to set shared/attached links info when “Plugin/API” or “Set your own” option is selected in the “What should fill attachment info” field. 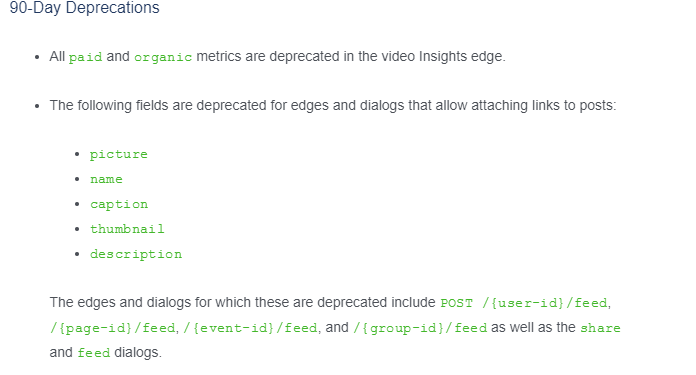 Facebook API 2.9 made those fields 90 days deprecated. That means all apps stopped posting that info on July 18, 2017. The only option left is “Facebook” that uses OG metatags. Please set your OG metatags correctly. There are dozens of plugins that can do that.